2016 ACE/RZR 900 Door Speaker Pods By EMP 12863 by EMP at All Seven Seater Cars. MPN: 12863-2016ACE900. Hurry! Limited time offer. Offer valid only while supplies last. 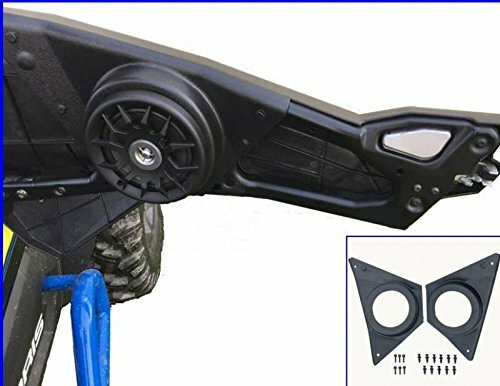 2016 ACE/RZR 900 Door Speaker Pods By EMP 12863 Door Speaker Pods Features: Sold as a Pair (Drivers and Passengers sides) Made from ABS Plastic. Accepts most 6 -1/2" Speakers. If you have any questions about this product by EMP, contact us by completing and submitting the form below. If you are looking for a specif part number, please include it with your message. SOOMJ Studio Sound Acoustic Absorption Car Heatproof Foam Deadener 39.4"x196.9"